Updated for MPC Software 1.2. If you read my previous review, you’ll know the MPC Renaissance had fairly decent support for loading your old beats and projects from the ‘Numark’ era of MPCs. In this review, I’m going to see if OS 1.2 has made any improvements to any areas where it was lacking, whether anything is now broken, and I’m also going to look at support for MPC4000 and MPC2000XL projects. For MPC Renaissance & MPC Studio tutorials, check out my new book ‘MPC Renaissance & MPC Studio: Sampling Laid Bare‘. As I don’t currently have an MPC4000, MPC-Forums.com member Coz was good enough to send me over one of his MPC4000 projects to test out. This is a collection of sequences and a single song with three drum programs in AKP format, with a number of different program parameters set up, all saved with an AKP multi file. Ideally we’d just double click the AKM file and the whole project should load, but this is unfortunately not the case and upon double clicking the AKM, the MPC Software just sits there in silence doing nothing – no support there then. So onto the AKPs. Double clicking each AKP seems to work perfectly, with the program and sounds loaded into memory, with all pad assignments seemingly in original order. When it came to program parameters and mixer settings, the results were a little mixed. Filters seem to be carried over, at least in terms of the most suitable like-for-like that the MPC Software can offer, so expect the actual parameter values to be a little different. For example, a clap on pad A6 originally had a 1 pole hi pass filter with a cut off of 90 – this was translated as a 1 pole hi pass in the Ren, but with a cut off of 114. Mixer panning information is completely ignored. ONE SHOT and NOTE ON is carried over fine. Coz tells me that certain pads were set to what should be the equivalent of MONO playback, however all pads appears to be set to POLY playback. MUTE GROUPS are carried over, but it appears tuning is ignored. ADSR settings appear to have been successfully transferred, but as I mentioned in the previous review, these parameters all seem to be adjusted by a common ratio to account for the different value range offered by MPC Software. Samples themselves with crossfade loops and non-zero start points all seen to have transferred over perfectly. Loading up the ALL file initially appears to be a complete success, however just like JJOSXL, all the tracks are incorrectly assigned so you’ll need to manually go through each track and assign accordingly. To speed this up a little, you could first load the AKP that is assigned the most tracks within the song and delete the PROGRAM01 default program fromt he MPC Software. If you now load up your ALL file, every track will be assigned to that AKP file you loaded. Hence you wont have to reassign those particular tracks. Song data seems to have transferred without any problem. Coz created some additional sequences to test out Q link and tempo change support. A sequence with a rising 10BPM tempo every bar contained no tempo changes in the MPC Software. Equally, a sequence with a Q link pitch drop over the entire drum parts was ignored. Considering the MPC4000 is a very different beast to the your typical MPC, I was surprised how reasonable the support is. AKPs load pretty well considering the major differences in program format, and sequences and songs load up all the bread and butter events, but as we saw with JJOSXL in the last review, all the sequencer tracks appear to need program reassignment. So not ideal, but ‘okay’ – I’d definitely like to see full AKM support in a future update. I’m assuming MPC2000XL support is the same as MPC2000 – I will update this article if I discover any differences. 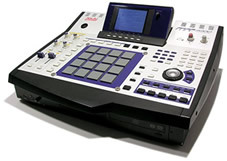 The MPC2000/XL do not have a ‘project’ type of file, like the XPJ/PRJ/AKM, so instead you have to load up an APS (all programs) and an ALL (all sequences and songs). Unfortunately, double clicking the APS file from my MPC2000XL project loads only the sounds, not the individual program files. The workaround is to instead load up all your individual program files – which isn’t the end of the world if you still have your MPC2000XL, as you can just load up the APS in your XL and re-save each individual PGM file. However, if you sold your MPC2000XL, you’re out of luck, so you’ll ever have to borrow an XL or wait for Akai to fix this. Next the ALL file. Double click and you are asked to confirm that you want to replace the existing sequences – hit DO IT, and nothing. No sequences are loaded. So we can cross off ALL file support as well. So as with APS files, you’ll need to load the ALL file in your MPC2000XL and resave each individual MIDI file and load them up one by one. 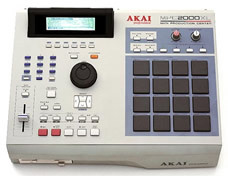 This also means that any SONG files cannot be loaded into the Ren, and these cannot be saved individually in your MPC2000XL, so the only workaround is to write down the song structure on paper and recreate it in the MPC Software, or convert your song to a single sequence in your MPC2000XL. As with MPC4000 sequence files, track program assignment are not remembered so these will have to be reassigned one by one. Again, best thing to do is load up the most used program, delete the default Program01 and then load your XL sequence files to at least have the majority of your tracks assigned to a more useful program. When it comes to individual programs, support is actually pretty good. ADSR is transferred using the normal MPC Software ‘ratio’ to account for the larger parameter range, and as the XL only has AD, the D is transferred as ‘Release’ (R) – velocity sensitive attack and decay are transferred fine. Filter settings are also transferred over fine, including filter envelopes. Tuning and velocity sensitive tunings (V>Tun) are perfect as are mute targets and play mode settings (NOTE OFF on the XL = NOTE ON in the MPC Software). The only fail comes with the MPC2000XL ‘pad mode’, which is used to either play multiple pads simultaneously (SIMULT) or velocity switch between pads etc (Vel SW). In the case of a velocity switch between three pads, the MPC Software simply assumed it was a standard SIMULT and set up the pad to play back all the pads simultaneously with no velocity switch applied. But the MPC Software handles velocity switching via the pad layers, so this is probably why. While program parameter support is very good, the lack of APS and ALL file support is a killer blow for many MPC2000XL owners, especially if they’ve already sold their MPC2000XL, as they will not be able to create the individual PGM And MIDI files. And as with the MPC4000, sequence track assignments are lost, so these will need to be reapplied – plus song data has to be recreated completely. So far, this has been the worse support I’ve seen out of any MPC. If I then select a new blank project and try again, the error doesn’t reappear, but only programs and samples are loaded; sequences do not appear. It’s the same story with an ALL file, double clicking this loads no sequences at all. The workaround once again is to save your MPC1000/2500 sequences individually as SEQ files and load them one by one while manually rebuilding your SONG file. This is a pain, especially considering these are still, in theory, ‘actively’ sold and supported MPCs from Numarks own MPC-era. Note that the MPC5000 appears unaffected by this bug. UPDATE: This appears to only affect some projects and not others, which is why some users are not experiencing this. I am investigating further to see what may be the difference. While it’s entirely possible to recreate your old beats and projects from all MPCs with a varying degree of elbow grease, many require you still have access to those old MPC models in order to create individual program and sequence files. It really would be preferable to be able to click multis, PRJs and APS/ALL combos and just perform small tweaks. No one expects the transfer to be perfect, but I think most people would hope that the bare bones will load up with no effort – i.e. all programs, sounds, sequences and songs, with just some parameters to tweak. The Akai Pro MPC web site currently states that the MPC Software “Supports samples and sequences from any MPC ever made” but it’s clear that Akai’s interpretation of the term ‘support’ in this case may not quite be the same as the assumptions made by many MPC users. But yes, in theory this isn’t entirely untrue, as SEQ, MID, SND and WAV are supported (which covers ‘sequences and sounds’). But I think most MPC users would expect ‘support’ to also mean the ability to load the ‘project’ type files as well – PRJ, ALL, AKM and APS – we all know that’s how an MPC project or beat is saved, nobody saves the individual program and sequence files, so people who sold their old MPCs to get the Ren are in for some fun unless someone has the time and skill to write a conversion script. Hopefully OS 1.3 will resolve these issues – I’ll update as soon as I know. 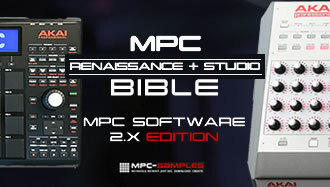 If you’re looking for the latest tutorials for the MPC Renaissance & MPC Studio, my new book ‘MPC Renaissance & MPC Studio: Sampling Laid Bare‘ is the complete guide to sampling and program building in the MPC Software, with 270 pages of tutorials covering subjects such as drum layering, chopping, sound design, multisampling and advanced drum kit building. Head over to MPC-Samples.com for more info. Just one question. Sequences in 4k loaded correctly? I mean like drum programming sequences with different tracks / pads on kicks, snares, hi-hats etc. Also what about effects & mixer levels? If you had such a project.. I hope Akai’s engineers will fix these problems. I mean its software stuff! Lots of people will migrate. 4k sequences are loaded, standard pad events are carried over, but tracks are not assigned programs, so you have to do that yourself and Q link stuff appears to be ignored. Effects are not carried over from any MPC, no exception. YOu’ll have some work to do if coming from an MPC4000, but with the basic sequencer events there, at least the overal framework is there for you. But this has pretty much always been the case when coming from an Akai ‘japan’ MPC to a Numark one – there was always tweaking and some hair pulling involved. I seem to remember the original MPC1000 OS didn’t even support SND files until several OS revisions later. Thanks again, man. Hopefully the next one will be the good one! So I’m screwed,I have alot of beats on my MPC 2000,is their any other way to load them,I have a ton of sequences on floppy,how do I transfer them to the renaissance,help!!!!! Would love to hear how 1.3 handles JJOSXL. I’m a 2500 user who’s pondering getting the Ren!